The National Institute on Drug Abuse (NIDA) reports that close to 75 percent of all adults who use illicit drugs are employed, as are most heavy alcohol users and binge drinkers. Studies show substance-abusing employees are more likely to frequently change jobs, more likely to be late to work or absent from work, more likely to be less productive, more likely to be involved in a workplace accident, and more likely to file a worker’s compensation claim when compared with those who do not abuse substances. The importance of keeping the workplace safe from the consequences of worker and workplace substance abuse cannot be minimized. 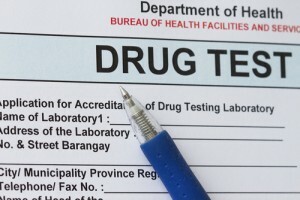 Rising business costs and workplace health and safety issues highlight the need for effective drug testing. One way to reduce injury and illness-related costs, workers’ compensation or insurance costs, the cost of disability leave, and control risks is to implement and effective drug-testing program. It is known that drug-users and drug use in the workplace adversely impacts the welfare of all employees, and the quality, morale and productivity of the workforce. In an effort to minimize the risk and damage, and keep the workplace safer for all involved, many companies rely on drug testing programs to reduce absenteeism, employee turnover costs, accident rates, and worker’s compensation. At the same time, effective drug-testing program functioning in the workplace helps to increase productivity and increase employee morale. The U.S. Department of labor reports 65 percent of accidents on the job are caused by drug abuse, and NIDA reports 75 percent of all adult illicit drug users are employed. Those statistics highlight and emphasize the need for highly reliable and effective workplace drug-testing. A urinalysis testing program is a common tool. Hair analysis is emerging as an innovative drug-testing method to identify both periodic and habitual drug use by employees or job applicants, particularly in positions which are safety-sensitive. According to a recent online Occupational Health & Safety article, private sector workplace hair-analysis testing is steadily increasing. It notes that many Fortune 500 companies exclusively use hair testing for pre-employment, and have for more than ten years. Hair testing as a means to detect drugs of abuse was pioneered more than 25 years ago by Psychemedics Corporation. A distinct advantage of hair testing is its broader range of detection in comparison to alternate drug testing methods. Typically, a 1.5 inch hair sample (cut close to the scalp) can identify drug use up to three months prior. It is a distinct advantage in identifying repeat drug users. As a point of comparison, a urinalysis ordinarily detects drug use within 48 to 72 hours prior because most drugs which are commonly abused tend to be excreted rapidly from body fluids such as saliva, blood and urine. It is extremely difficult to tamper with or adulterate a hair test in comparison to a urine test. The entire collection process is observed. The process of collection and handling is easy and simple to do. There is no handling of body fluids. The three-month detection window makes it extremely difficult for an illicit drug user to conceal prior repeat drug use. Hair samples are not a biohazard. Hair samples can be shipped worldwide with no risk of in-transit deterioration. It can provide information on quantity and pattern of individual drug-use. Hair testing provides a workable and effective way for employers to create a drug-free workplace.